Chilly mornings in camp can make you want to stay in bed all day. 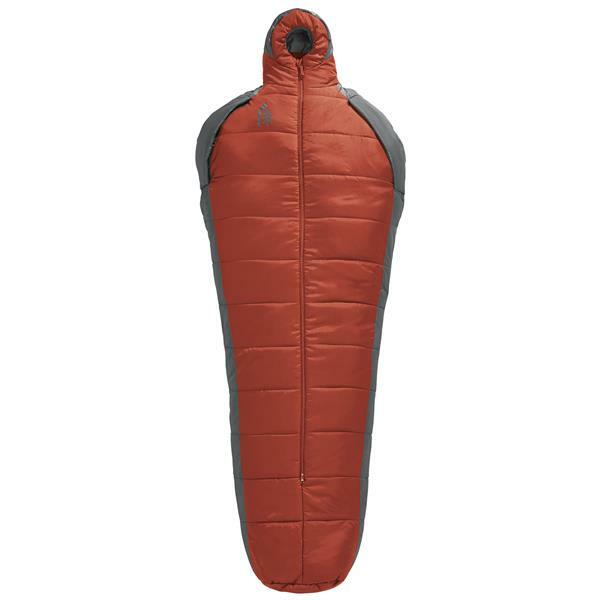 Now, with the Sierra Designs Mobile Mummy Syn 1.5 Season Sleeping Bag, that might actually be an option. Built with zipperless arm ports and a stowable foot box so you can make some eggs and bacon and wake up in style without ever leaving the cozy comfort of your bag, the Mobile Mummy is also stuffed with poly-fiber synthetic insulation for highly compressible warmth. The centrally placed zipper lets you vent the heat on warm nights, and the tough ripstop shell material gives you the confidence to wear it like a jacket. Fits Up To: 6'' 0"
Stuff Size (WxL): 7" x 16"